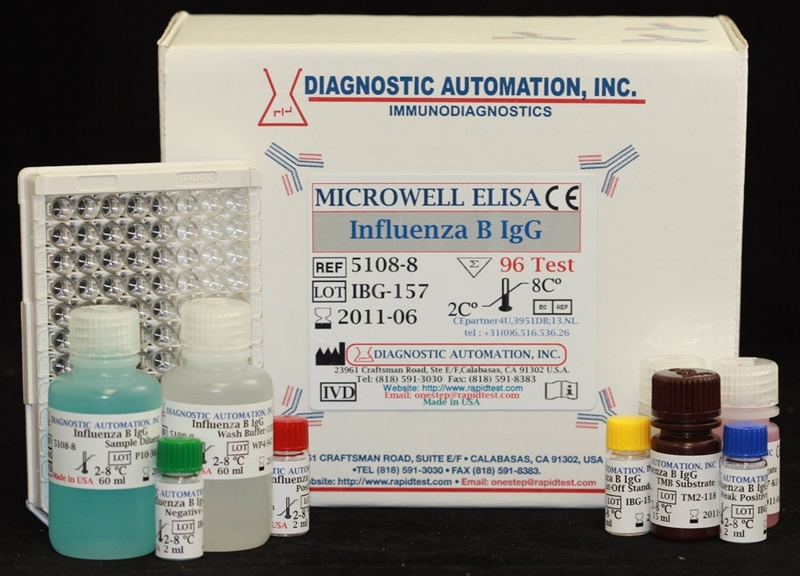 Influenza B IgG ELISA kit - Influenza ELISA Assay | CE-GMP | 818-591 3030-USA. 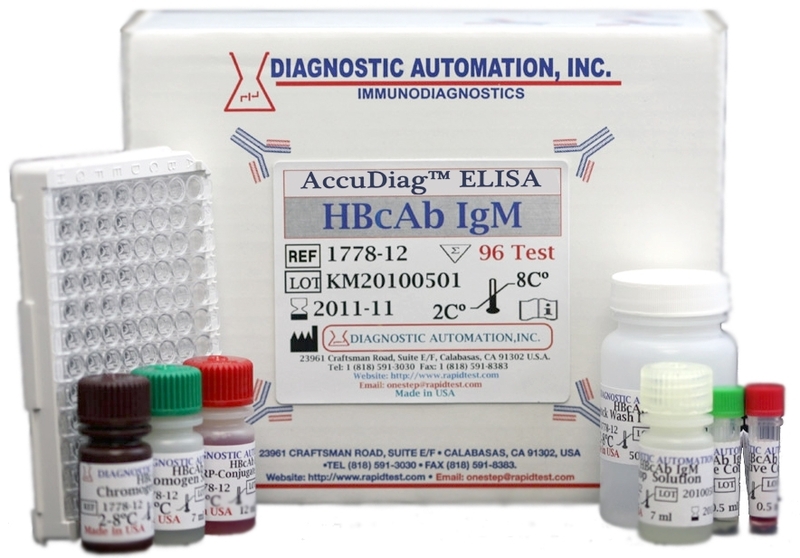 The Diagnostic Automation Influenza B IgG Antibody ELISA Test Kit has been designed for the detection and quantitative determination of specific IgG antibodies against Influenza B in human serum and plasma. Further applications in other body fluids are possible and can be requested from the Technical Service of Diagnostic Automation Inc. The Diagnostic Automation Inc. 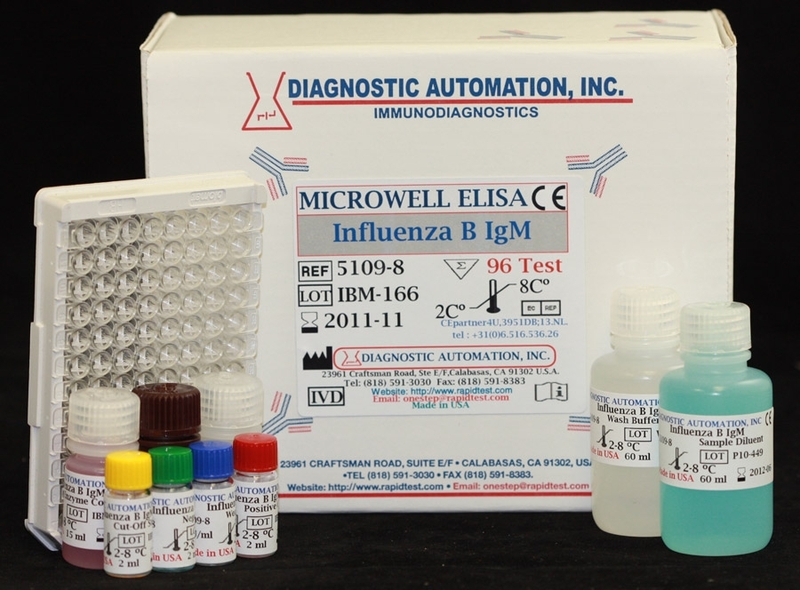 Influenza B IgG antibody test kit is based on the principle of the enzyme immunoassay (EIA). Influenza B antigen is bound on the surface of the microtiter strips. Diluted patient serum or ready-to-use standards are pipetted into the wells of the microtiter plate. A binding between the IgA antibodies of the serum and the immobilized Influenza B antigen takes place. After one hour incubation at room temperature, the plate is rinsed with diluted wash solution, in order to remove unbound material. 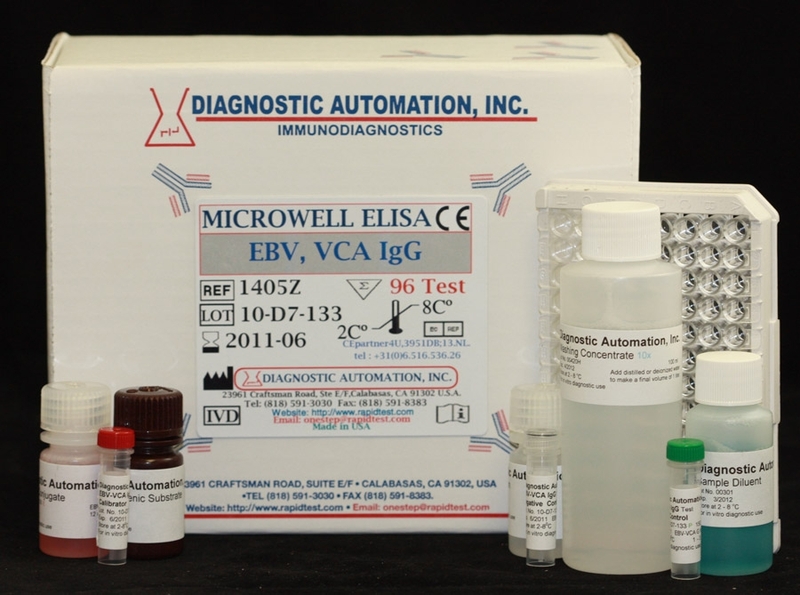 Then ready-to-use anti-human-IgG peroxidase conjugate is added and incubated for 30 minutes. After a further washing step, the substrate (TMB) solution is pipetted and incubated for 20 minutes, inducing the development of a blue dye in the wells. The color development is terminated by the addition of a stop solution, which changes the color from blue to yellow. The resulting dye is measured spectrophotometrically at the wavelength of 450 nm. The concentration of the IgG antibodies is directly proportional to the intensity of the color. 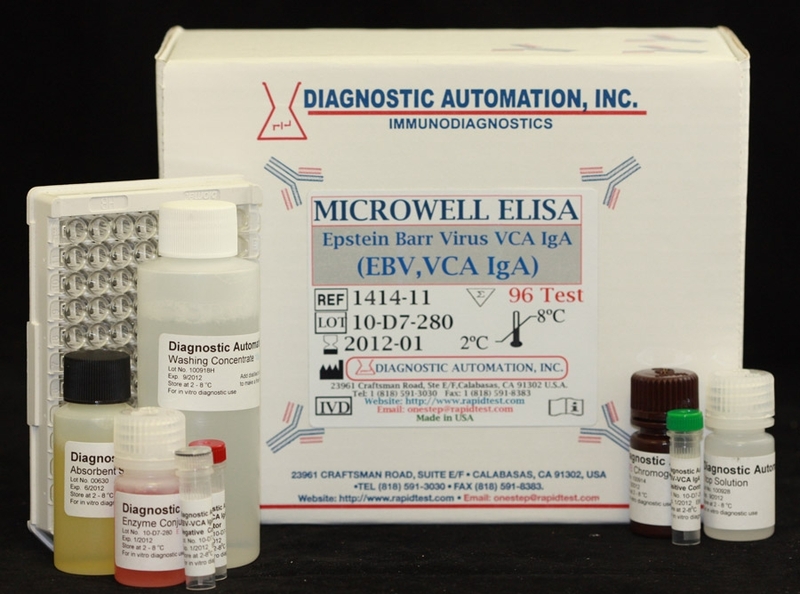 anti-Influenza virus B IgG Human in vitro ELISA (Enzyme-Linked Immunosorbent Assay) kit is designed for the accurate qualitative measurement of IgG class antibodies against Influenza virus B in Human serum and plasma. A 96-well plate has been precoated with Influenza virus B antigens to bind cognate antibodies. Controls or test samples are added to the wells and incubated. Following washing, a horseradish peroxidase (HRP) labelled anti-Human IgG conjugate is added to the wells, which binds to the immobilized Influenza virus B-specific antibodies.